Our Projects are focused on creating jobs, saving the consumer money, and benefiting the environment. 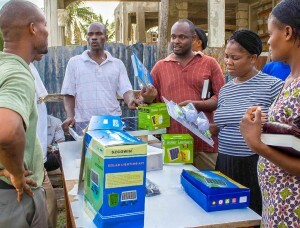 We provide business training for people in developing nations, like Haiti. In addition to education, we also assist with startup costs in the form of micro loans and startup products. We focus our efforts on environmentally clean products like solar lanterns, solar flashlights and home electrification. A hand out only lasts as long as you are there handing it out. Training, education and business skills will last a lifetime and beyond. People in developing nations, like Haiti, have survived on handouts for generations. What people really need are business skills and an opportunity to earn an income.